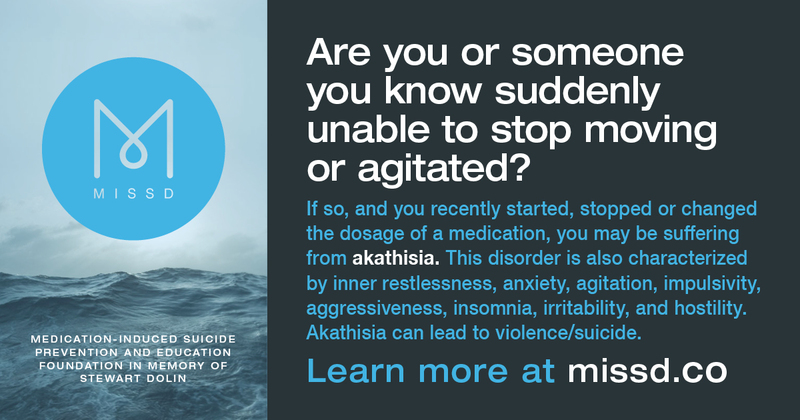 MISSD is very excited to announce its most recent awareness campaign; signage on CTA busses and trains! MISSD signage will be advertised on 100 trains and busses in the Chicagoland area. We would like to thank YOU, as it is the attention and donations to MISSD that make this important programming possible with the ultimate goal to prevent needless deaths. 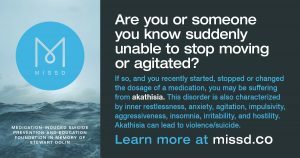 We hope this signage will reach an even bigger population and create more awareness about medication-induced reactions and akathisia. Other commonly prescribed drugs are now being linked to mental health side effects.